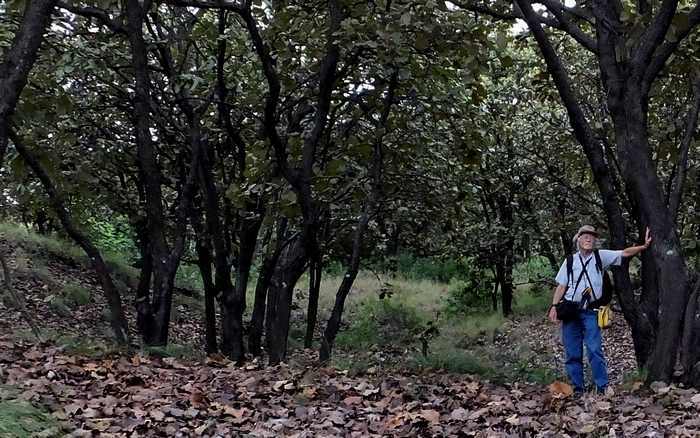 You can help save the Bosque Alto Forest, no matter where in the world you live. Just click HERE to sign the petition. 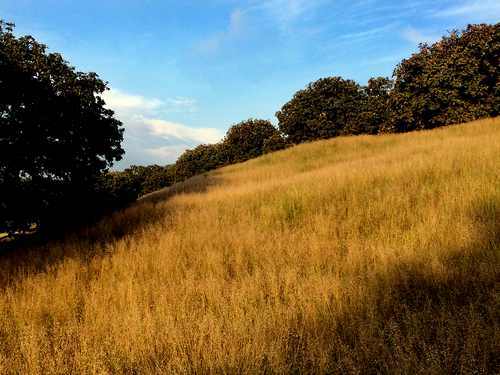 "Forest fires don't destroy forests, but fences do," an environmentalist told us. 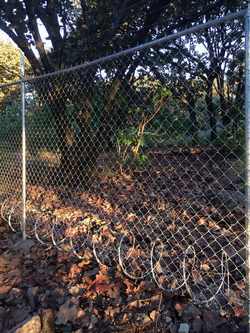 This fence with razor wire was put up in Bosque Alto even before construction was started. Photo courtesy of Salvemos el Bosque. 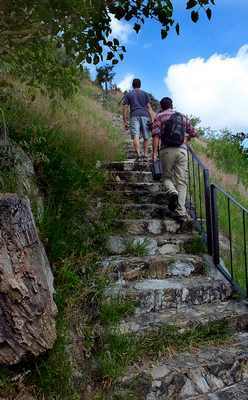 Stairway to the Bosque Alto. Countless pieces of obsidian tools were found in the Bosque Alto, indicating there were important obsidian workshops here. Arrows indicate: chop down all trees to the left and to the right. 85 Neighborhoods join together - You can help too! 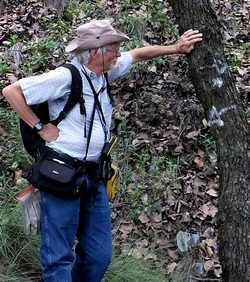 Recently, members of an organization dedicated to protecting the Primavera Forest led me up a long, long staircase towards the top of a high hill at the northern edge of the beautiful community of Santa Anita, a residential area south of Guadalajara. Upon reaching an altitude of 1750 meters (5,740 feet), we came to a lookout point with an incredible view of the Tlajomulco area framed by shadowy mountain ranges in the distance. From here we hiked into a part of the Primavera Forest I had never known existed: rolling hills filled with oaks, pines and glorious grassy meadows. To me, this little piece of paradise looked pristine at first glance, but, curiously, almost every tree I could see had a small round splotch of gray paint on it. “That's the mark of death,” my companions told me. I was told that those spots indicated trees to be cut down—5000 of them, mind you—and that this healthy 62-hectare forest will soon disappear, paved over with concrete and asphalt. I was amazed. Here was one of the last thriving bits of Bosque la Primavera, separated from the main body of the forest by a distance of only 2.4 kilometers and instead of creating projects to conserve it and perhaps turn it into a park, recreational area or even Tapalpa-style cabins in the woods, these “developers” had quite something else in mind. John Pint with trees marked for death (small grey paint spot). My companions were members of Salvemos Unidos el Bosque la Primavera (Together Let's Save the Primavera Forest), an organization of people from around 85 neighborhoods who describe themselves as “tired of waiting for something to happen.” If you read Spanish, you may want to check out their web page at Salvemos El Bosque. The spectacular view from Bosque Alto. 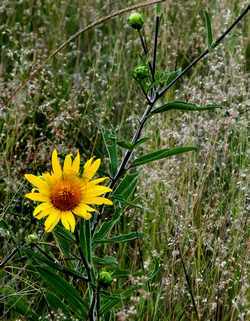 New schemes to modify, reduce and “citify” Bosque la Primavera keep popping up all the time and ecologists find it hard to fight back. This time, the members of Salvemos Unidos el Bosque have made the task easy. I urge you to spend a minute signing their online petition.